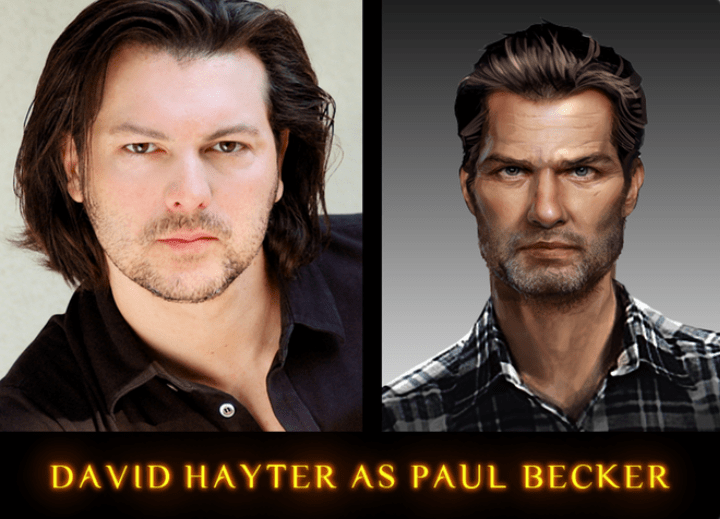 Over the last week, I’ve written David Hayter’s name more times than Hayter himself probably has in his entire life. Whether it be writing the script for CAT: Bloodstained, it’s follow-up article, the script for today’s video, and now this follow-up, I feel I could actually impersonate the man without anyone noticing. Anyone subscribed to our Youtube channel knows I can already do a good Snake voice. Yes, the gravely voice known to a generation as Big Boss and Solid Snake is famous for Metal Gear, but he’s had other roles in recent years. You may be surprised how many of them came from Kickstarter. He’s been involved in eight different Kickstarter projects, one of which was a movie, to varying degrees. In Shadow of the Eternals for example, Hayter took center stage. He was to play protagonist Paul Becker, he made a video on Youtube talking about the role and promoting the Kickstarter, and the developers pushed his presence hard. He also played a small part in Video Games Live Level 3, though all he did there was provide voice messages as one of the rewards. Hayter’s acceptance of the crowdfunding community is pretty cool when you realize voice acting is only his hobby. His main job is as a scriptwriter and director, credited with writing scripts for X-Men, X2, and Watchmen, and directing Wolves. These aren’t indie projects, they’re multi-million dollar Hollywood films. Even though he’s not Solid Snake anymore, he still gets big roles, such as Star Wars The Old Republic and Marvel Heroes. For someone like that to work with an unproven indie developer like with The Hostage Trials, or star in a mobile game like Republique is remarkable. 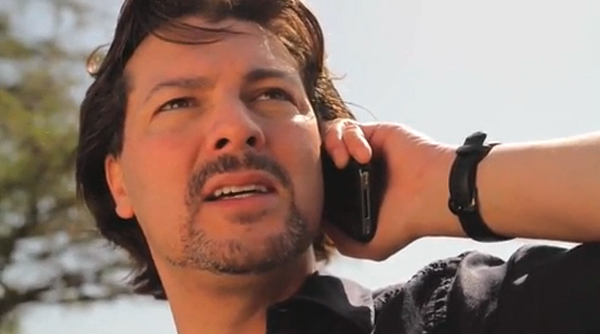 Developer Gnarly Tooth shot a short film to promote The Hostage Trials, starring Hayter. Despite his success, there’s an odd trend among the Kickstarter projects he’s been a part of. Of the eight he’s been involved with, only three were funded. One, The Hostage Trials, actually failed twice. Odder still, the projects that did fail were the ones that pushed Hayter the hardest, while the other three gave him but a passing mention. I take a look at this trend and more in our latest video. It’s something a bit different from our usual Let’s Plays and Crowdfunding Analysis Time, so you better like it I hope you enjoy it!